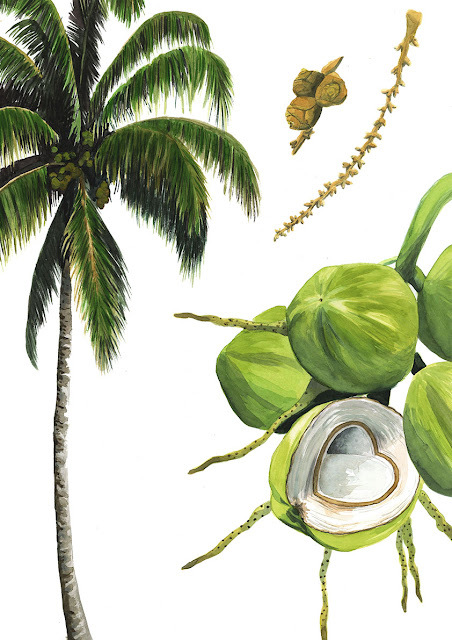 The composition illustrates the typical example of a coconut tree (cocos nucifera) and its fruit and flowers. I based the final illustrations on my observations and sketches of the tree in real life, from the photographs and from the botanical descriptions of typical examples of the species. The final work is done in watercolour.